This is the latest piece of content released by The Labour Party in their ‘Price of Tory Failure’ campaign which has been running across their social media channels since December. a) Tell people about the real impact of government cuts on peoples’ lives. b) Show how, despite government cuts, public borrowing has still increased. c) Communicate the social injustice of government tax and spending policy. d) Highlight promises made in 2010 that have not been kept. 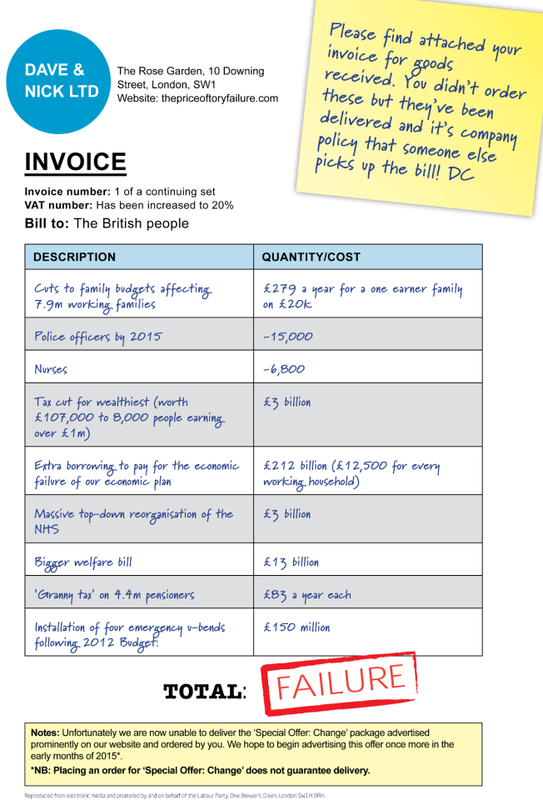 In fact, they have used the terminally dull creative vehicle of a modified invoice to try and make all 4 points. This piece of content contains neither strategic clarity nor creative inspiration.